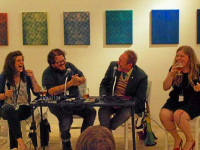 The event is being held from November 1 to November 7. About 10,000 delegates from a total of 80 countries have gathered in Metro Toronto Convention Centre in Toronto, Canada to attend the world's largest interfaith gathering , the Parliament of the World's Religions. The delegates cumulatively represent approximately 200 indigenous, spiritual, and religious traditions. The list of high-profile attendees includes Margaret Atwood, the renowned Canadian author, Honorable Bob Rae, Ontario's former premier, General Romeo Dellaire, who founded Romeo Dellaire Child Soldiers Initiative, and Honorable Elizabeth Dowdeswell, the Ontario Lieutenant Governor. The program will run from November 1 to November 7. The impetus behind the creation of Parliament of the World's Religions is to cultivate harmony among the spiritual and religious communities. The other intention is to foster the communities' engagement with the outside world along with its guiding institutions with the aim to achieve a sustainable, peaceful, and just world. The Metro Toronto Convention Centre is the number one trade show and convention facility in Canada. 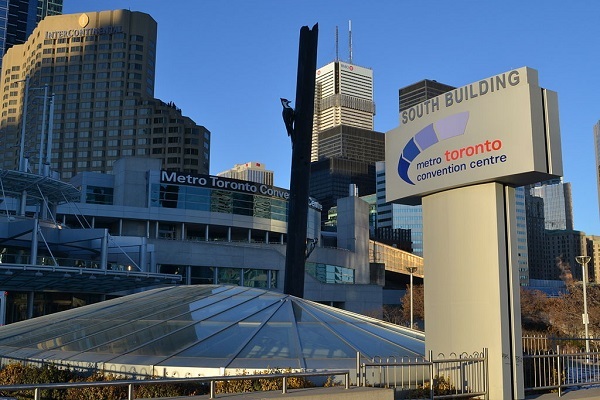 The Metro Toronto Convention Centre has hosted in excess of 20,000 events over the last 33 years and has contributed a massive $6.3 billion when it comes to economic impact via direct spending to the community. The Parliament of the World's Religions has invited the media to join in via social media. The 7th Parliament will feature in excess of 500 programs. There will also a film festival featuring notable movies and a considerable number of documentaries on a variety of topics covering spirituality. The selection of Toronto as a venue of the seventh Parliament underscores Toronto's reputation as one of the most multi-cultural and diverse cities in the globe. About 50 percent of the population of this Canadian city was born outside the country. The metropolis is proudly multicultural, and various parts of the city mirror the cuisine, traditions, and religions of the different ethnicities which make up the population of this metropolis. Barry Smith, the CEO and President of Metro Toronto Convention Centre, said his company is honored to be selected as the first venue in Canada to host the Parliament of the World's Religions. Tara Gordon, the Vice President of Tourism Toronto, echoed Smith. She pointed out the city welcomes people from all over the world. She then wished every delegate an excellent and fruitful stay in one of the most diverse metropolises in the world. Media credentials for the event will be given to a restricted group of journalists, media practitioners, and bloggers.